For centuries, lifestyle and fashion accessory products have always been an integral element in defining a woman’s personality and in modern times, the innovation and experimentation in its development is ever growing. Brand Deshaj incorporates the sustainable forms in designing a new range of products like ‘recycled fabric jewellery’ which seamlessly adorns the beauty of a woman. The art of making ‘recycled fabric jewellery’ comprises of finely handcrafted steps and processes which initiates zero wastage of fabric material. At the Deshaj Innovation Lab, hundreds of rural artisans are trained to develop these beautiful products for the demanding market. First, the wastage fabrics which are obtained from the tailored garments are collected and segregated as per colour schemes, shapes, sizes and patterns. Now based on the outlined jewellery design patterns; the basic foundation is created where lots of interesting elements like fringes, beads, shells, coins, embroidered patches, miniature figures and many more such forms get integrated for the final jewellery piece. These products are extremely light weighted, colourful, economical in pricing and comes in lots of design variations. 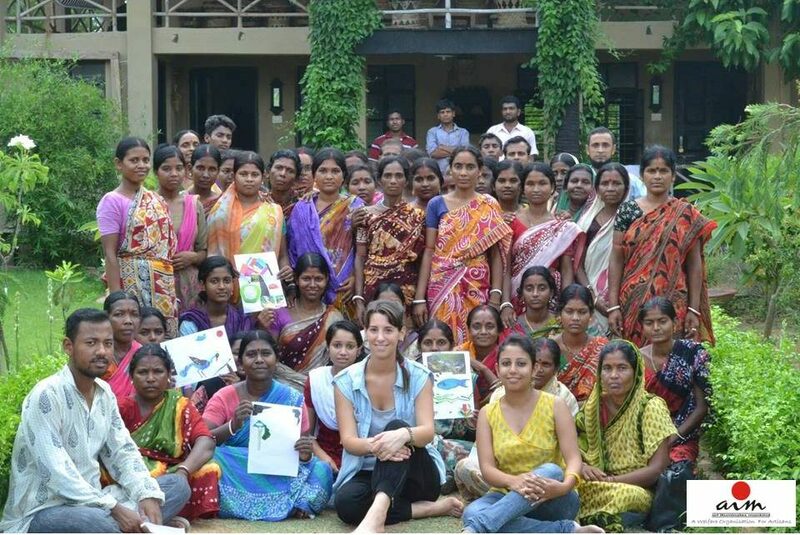 For team Deshaj, it’s a cognitive processes which not only yields beautiful handcrafted products but also develops a sustainable growth and livelihood for the rural artisans, primarily the women. For the artisans, it’s a holistic development that builds a team effort efficiency, creativity, enterpreneurship skills, leadership qualities and craftsmanship. As per growing demands from the market, Deshaj creates a whole new range for every collection, featuring traditional craft techniques, contemporary silhouettes and an element of surprise. Also, these ‘recycled fabric jewellery’ pieces provide customer’s the scope to experiment their styling with various fashion wears. The sweetness of ‘Prakriti’ or nature is like an awaiting gift to be discovered. Every winter in Bengal, nature prepares herself to gift us the sweet nectar which is extracted from the khejur or palm trees. This sweet nectar or the date palm jaggery as known to us, has its own primitive process and art of preparation. Overnight, drop by drop the sap falls into the earthen pot which is tied on a particular segment of the date palm or khejur tree. Early in the morning, the earthen pots are collected, filled with fresh and cool sap. Once the fresh sap is collected, it is then emptied into a metal pan or tala ready for an optimum boiling called jaal for several hours, until the sap changes its colour from light brown into a deep golden brown and savoring its unique aroma. Finally, it becomes slightly viscous, slightly sticky. This is nolen gur or the non-solidified form of date palm jaggery. The solidified form is known as the patali gur. This fresh and healthy nolen gur adds a sublime sweetness for many sweet dish preparations and innovations for the taste buds. At MORAM, during the winter we make sure that our guests experience this traditional process of making nolen gur at the nearby village and of course indulge themselves in its divine sweetness. An expression in the form of fabric, embroideries, patterns , silhouette,a refinement and elegance in the art of dressing. ‪#‎deshaj‬ Celebrates the spirit of womanhood through its upcoming white-golden collection. It brings to you this limited edition of white collection that will enhance the beauty of your wardrobe . Buy these beautiful silhouettes for the relaxed look with elegance. The white silk combined with brilliant golden embroideries is a beaty behold.